Returning from a camping trip to Byron Bay, a gentleman found what he at first thought was a litter of mice nesting in his glove box. These gorgeous little creatures may look like mice they are in fact a native marsupial called an Antechinus. 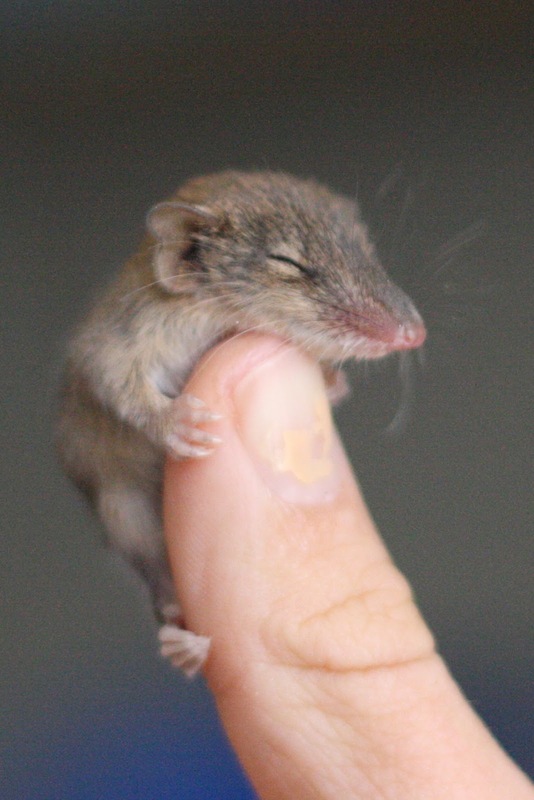 Unfortunately mum didn’t join her litter on the trip to Canberra, so it is now up to our wildlife staff and carers to raise these little hitchhikers. Our carers will continue to feed them special milk every few hours and help them learn to eat bugs, fruit and mince. 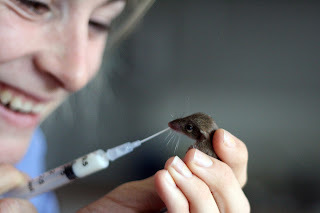 When they arrived with us they weighed just six grams and we estimated their age at 35 days. 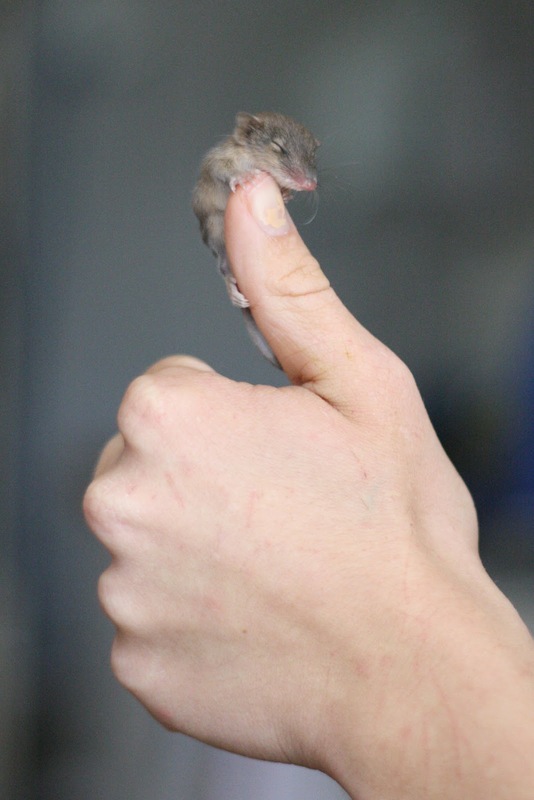 When they reach 90 days and about 12 grams, we will send them back to Byron Bay for release. 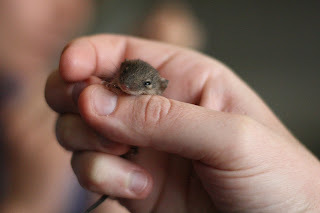 These antechinus are lucky that their traveling partner realised that they were not common mice and took the trouble to bring them to RSPCA for identification. Their pointy snout and their teeth gave them away as marsupials. Without their mum they would never have made it, but thanks to lots of TLC they are now very happy little campers!